PERLAVITA Large hole bead with vermeil insert. This is our White Gold line of bright colors of Murano Glass all completely encased in clear Murano Glass. Insert is 24kt Gold Foil Plate over Sterling Silver. Great shape approxmately 14x12mm. The hole inside these is approximately 5mm which will fit on Pandora Jewelry, Chamilia, Trollbeads, Biagi, LoveLinks. 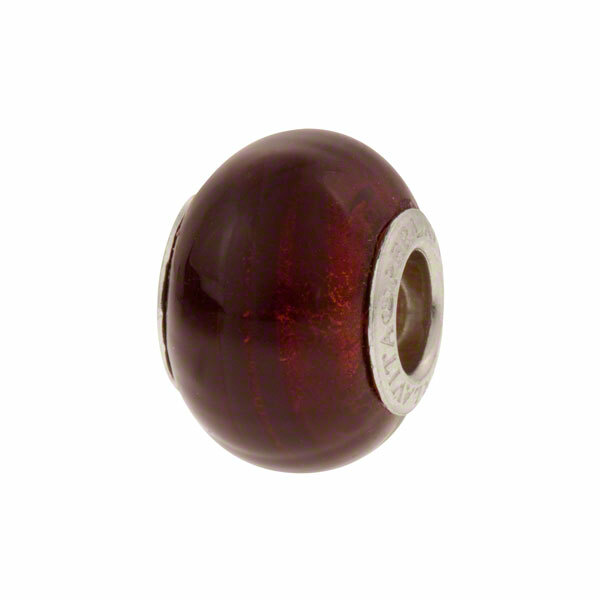 The color of this bead is a deep ruby or garnet red over 24kt gold foil.